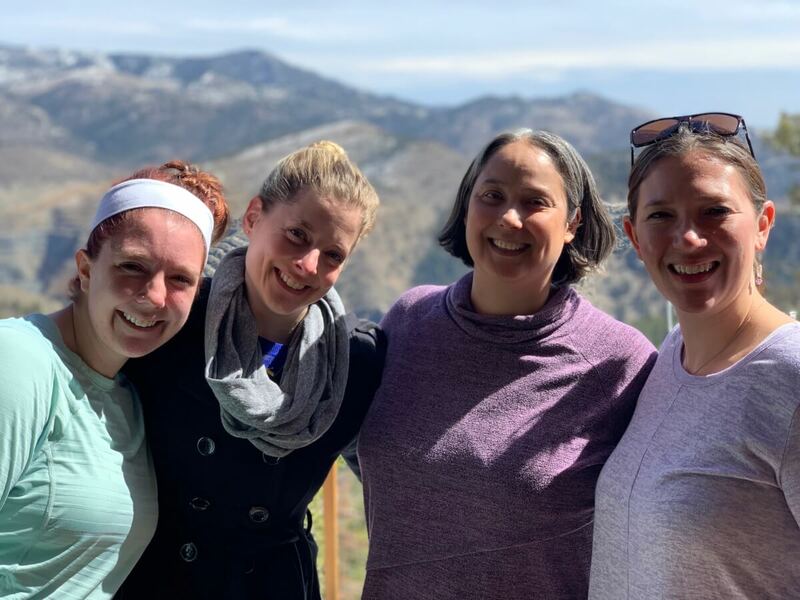 Pictured are Lyndie Walker of Toneworks Music Therapy Services, Ericha Rupp from Note-able Music Therapy, Melissa Spiess from Living Spirit Therapy Services, and Christina Wood from Healing Rhythms Music Therapy during a Business Owners Mastermind Retreat in Evergreen, CO facilitated by Meredith R Pizzi of Roman Music Therapy Services. The “retreat” more aptly dubbed “boot camp” by participants since we were so excited about the material that we chose to work through almost all breaks and even had working lunches and dinners; was an unbelievable, transformative experience. We spent 10+ hours on financial intelligence, worked on missions, visions, spoke about business models, and networked among other things. It was a true pleasure and honor to spend the weekend getting to know incredible business owners from throughout the country (and Canada!). I can’t thank Meredith and the other participants enough for such an amazing experience. I know that the skills, knowledge, and networks gained will remain influential throughout my whole career.